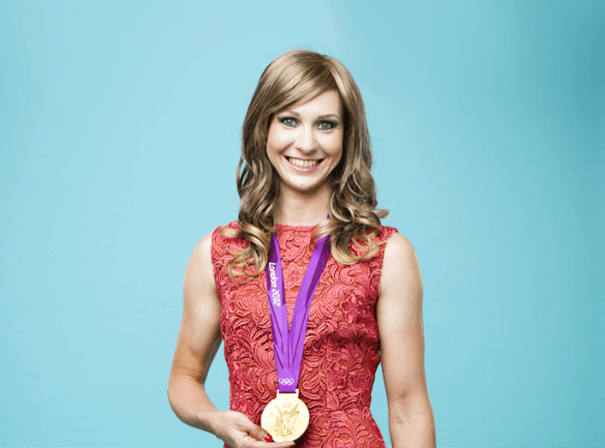 Few current cyclists anywhere in the world have achieved as much as Joanna Rowsell. Born in 1988, Joanna is an English cyclist on the Great Britain Cycling Team who competes on track and road who was born in London and was picked up by British Cycling’s Talent Team programme in 2004, after being tested at her school. Before long she was blowing away the competition and picked up her first major wins in 2005 and 2006. As a junior, Joanna won the British National Track Championships pursuit, represented the UK at the European and World Junior Track and Road Championships and finished second in the British National Circuit Race Championships. In 2008 she joined Team Halfords BikeHut and continued to pick up titles ahead of the London 2012 Games. Joanna is now the reigning Olympic, European and British Cycling Team Pursuit Champion and Double World Champion in the Team and Individual Pursuit. At the Olympics she also set her 6th successive World Record with the team on the way to topping the podium. Currently riding for the Wiggle Honda Women’s Pro Cycling team on the road, Joanna, as an Olympic and 5-time World Champion on the track, still has her sights very firmly set on the 2014 Commonwealth Games and the Rio 2016 Olympics. As a hugely motivated figure who battles with alopecia areata, Joanna was appointed an MBE in 2013 and is well placed to talk to audiences about saying motivated and dedicated at the top level of world sport.